The Thumbs Up! 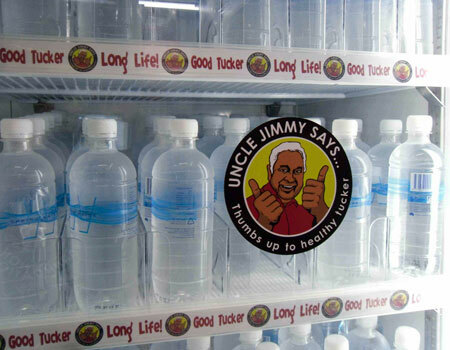 healthy food Seal and Stores Program helps customers of community stores identify the healthier food items with the Uncle Jimmy’s Thumbs Up! Seal of approval. 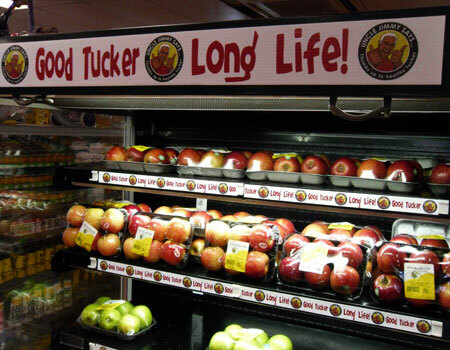 Participating stores display Uncle Jimmy’s “Thumbs Up!, Good Tucker – Long Life” signage and merchandising materials on fresh fruit and vegetables, drinking water and other selected healthy food items, making good food more attractive and easy to identify. 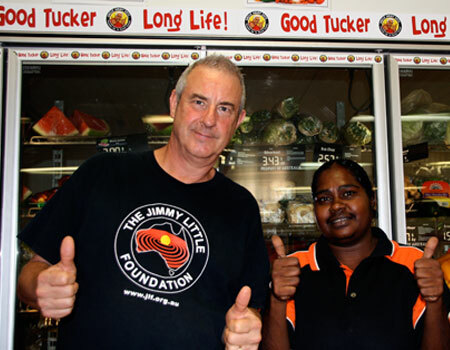 All stores run by ALPA (Arnhem Land Progress Aboriginal Corporation) have been displaying the Thumbs Up! signage sonce 2009 and reported significant growth in sales of fresh food. All Outback Stores across NT, Far North Queensland, WA and SA, have had Thumbs Up! 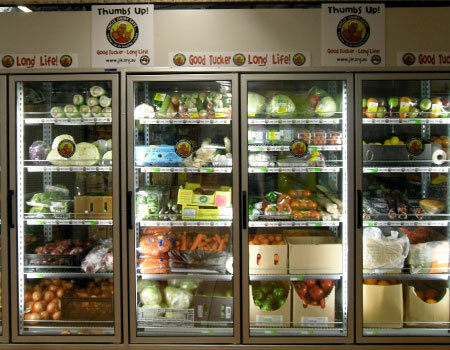 signage since 2010 and also experienced growth in fresh food sales. 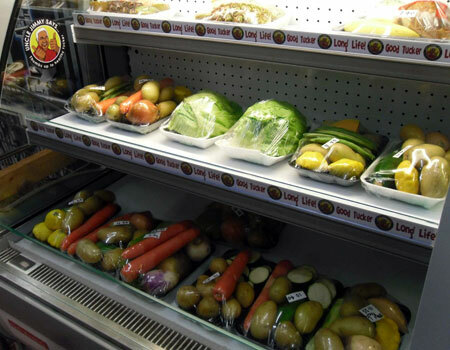 All Retail Stores Group outlets in Far North Queensland & The Cape continue to display the Thumbs Up! 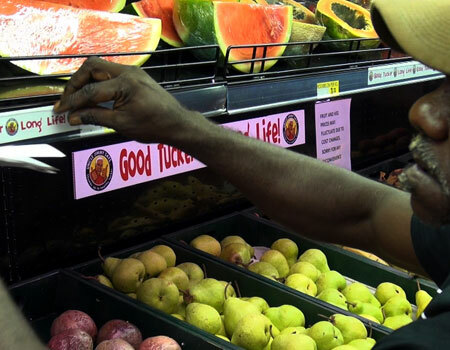 Signage and enjoying good sales of healthy, fresh food.